With electronica 2018 quickly approaching, we’ve been brainstorming how we can help the industry get themselves ready for the biggest trade show of the year. We decided that the best way to help you and your company prepare for electronica, was to provide you with an outstanding marketing toolkit, that covers everything you need to know in the run-up to the trade show. In preparation for electronica, the first thing you want to do is make sure your money is well spent. This means spending time thinking about what you can do to increase ROI. Our tip sheet ‘9 Steps to Increase Trade Show ROI’, can help you focus your attention in the right direction to maximise ROI. This tip sheet can help you understand why a planned approach is the way to succeed and how you can implement this in your marketing strategy. Now you know what you need to do to increase your ROI, the next step is defining who you want to meet and what you need to do to gain their attention. Our B2B Persona Creator Tool allows you to develop B2B personas for a specific campaign, and truly understand your target audience from the beginning. All you need to do is answer the questions provided, sit back and watch the tool do the work for you. Napier’s MQL and SQL definition tool allows you to personally identify what information and behaviour qualifies your leads for either marketing or sales. The tool asks you a series of questions and provides an easy to read breakdown of your information; successfully defining the behavioural features you look for in a MQL or SQL. Trade shows (especially electronica) are a great platform to interact with journalists. It’s important to remember to meet with journalists as well as potential clients. Shows present you with an exclusive opportunity for meeting and briefing journalists face-to-face. Yet, there are also other companies trying to make an impact on these journalists. So, how do you make a bigger impact over others? 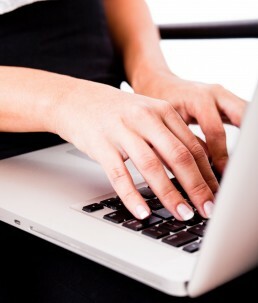 Our tip sheet has 7 tips to help you get the edge over your competitors. Following up after the show is essential to your success, and ensures you keep benefiting for months to come. Marketing automation is the most effective way to make sure you are following up your leads quickly, and efficiently. Our tip sheet highlights why marketing automation is so crucial to post trade show follow up and how it can help you achieve a better return. Everyone at Napier would like to wish editor Debbie Eales a wonderful retirement, as she steps down from her role on the 1st November 2018. 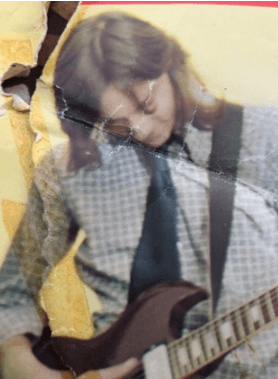 After 45 years as a journalist and spending the last 10 years at Datateam Business Media, as editor of Printwear & Promotion, BSEE and Electrical Wholesaler magazines, Debbie will certainly leave behind her mark in the industry. After such a long and successful career, we wish Debbie the best of luck for her future. Napier was saddened to receive the news that Alfred Goldbacher has unexpectedly passed away on 26th September 2018. As part of the editorial department at Elektronik since 1991, Alfred was a key member of the team, handling responsibilities such as distribution, passive components, electromechanics, printed circuit board design, and electronics production. Alfred was widely known across the industry and will be deeply missed. After moving from Siemens to Electroink in 1991, Alfred went on to work part time as editor and train as a naturopath, passing on his experience to the next generation of naturopaths. Known for his positive charisma and friendly nature, Alfred’s sudden passing will leave a large gap in the industry. Our thoughts are with Alfred’s friends and family. The IET Innovation awards has announced their finalists shortlist for 2018. Celebrating the very best in new innovation across science, engineering and technology, these awards showcase the latest and greatest ideas from every corner of the industry. With over 350 entries in 14 categories, the 75 shortlisted entries come from all over the world, and feature life-changing innovations in categories such as Communications, Healthcare, Sustainability, Manufacturing and Technology Transfer. Winners of the IET Innovation Awards will be announced on the 14th November at The Brewery in London hosted by comedy actor and writer Sally Phillips. The awards evening will offer attendees the chance to network with finalists and visit a showcase of some of the shortlisted innovations in action. To view the full finalists shortlist and find out how you can book tickets for the ceremony please click here. E&T, the Engineering and Technology magazine and website, has been shortlisted for four awards in this year’s BSME awards. The British Society of Magazine Editors (BSME) is a UK society exclusive to magazine editors, website editors and senior editorial staff. Formed to represent the needs and views of all editors, the BSME awards honour the best publishers, editorial and advertising team members in British magazines. Taking place on Tuesday 20th November at the Sheraton Grand London Park Lane Hotel, E&T are currently shortlisted for the Science and Technology (Dickon Ross) and Columnists of the Year-B2B (Justin Pollard) awards. E&T designer John Rooney has also been shortlisted twice for Art Director of the Year, and Cover of the Year- B2B category. We wish the editorial team at E&T good luck, and hope they enjoy themselves at the BSME awards ceremony. To find out more information or how attend the awards ceremony please click here. We are thrilled to announce that Napier was named as ‘The Most Outstanding PR Agency’ at The Electronics Industry Awards hosted in Birmingham last month. The Electronics Industry Awards are based on a public vote, with the whole electronics industry coming together to recognise the outstanding performers. It’s great that everyone’s hard work has been rewarded, and we feel privileged to have been recognised by the industry. Mike Maynard, Manging Director at Napier, commented on Napier’s success: “We are thrilled to be named as the ‘The Most Outstanding PR Agency’ at The Electronics Industry Awards. This is a great reflection of our hard work, and I’m extremely grateful to our amazing team and wonderful clients for making this such a fabulous year”. We would also like to congratulate our clients Farnell and Microchip Technology, who also went home with an award. Farnell for distributor of the year, and Microchip Technology for Engineering Development/Design Tool of the year, with their MPLAB® PICKIT™ 4. 2018 was the first year of this exciting new Awards scheme organised by Datateam Business Media in association with CIE Magazine, Electronics magazine and ecsn. The Electronics Industry Awards is the first and only event in the electronics industry that hands the power back to the people. The groundbreaking format will reflect the unique and vibrant nature of the sector by allowing you – the industry – to pick the winners and shine a spotlight on your outstanding people, distributors and manufacturers. Martin Probst is the latest member to the join the team at publishing house Huthig, whose key areas will include Sensors/Sensor-ICs, Optoelectronics, Analog-Mixed-Singal-ICs, Power (Supply), Inverter and Battery-Technologies. How long have you been working within the electronics industry? I’m quite new to electronics. I started volunteering in October 2016 at Hüthig and its electronic magazines. Volunteering is somewhat like an apprenticeship for journalists that lasts around two years. However, I became a full time editor at Hüthig since August 2018. Why did you decide on a career within electronics? Well, I wasn’t looking for a career within electronics, rather was I looking for a career within the media. I wanted to work for print or online and so I found the job offer from Hüthig. I hardly had any background with electronics back then, but I said to myself that I can do it and I have to at least try. The challenge was exciting. Two years later I am still here and still as excited as I was on my first day. What are your key areas of interest within the industry? I think sensors are super interesting. They are in a way the senses for a lot of electronic systems. They see, they smell, they feel, they hear. They also enable a lot of the current trends like autonomous driving or smart applications. Do you have a favourite electronic gadget? I guess my smartphone, if you consider it a gadget. It’s just fascinating how far they’ve come in the last decade or so. Nowadays you can do so much stuff on them like watching movies, reading newspapers, sending news out to millions of people and so on. And it looks like the technology will just keep getting better. electronica India and productronica India have welcomed over 500 exhibitors from 27 countries as they take place from the 26th-28th September. Held at the Bangalore International Exhibition centre in Bengaluru, the trade fairs are showcasing a range of electronic technologies; focusing on components, systems, applications and innovative electronics production technology. With a rapidly growing interest in the Indian electronics industry electronica India and productronica India will likely benefit, with Messe Muenchen India organising the biggest ever edition of the show, while IPCA Expo will be co-located with the trade fairs for the first time. 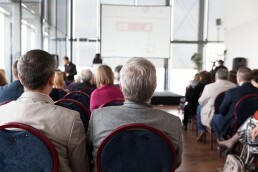 This year the trade fairs feature new topics and discussions at co-located supporting programs. This includes the PCB Tech conference which will focus on the importance of a robust supply chain and value addition to strengthen the PCB sector in India; as well as the CEO ‘vision for quadrupling to a US$ 400 billion electronics industry’ forum. 2018 marks the biggest edition of electronica India and productronica India seen so far, and we look forward to hearing the best moments from the electronica India and productronica India trade fairs this year. Electronic Notes have launched their supplier directory listing to provide a helpful overview of the main suppliers within the electronics industry. The directory consists of entries from distributors, test equipment manufacturers, semiconductor manufacturers, microwave & RF companies, as well as power product and component manufacturers. Each supplier provides an overview of their company, as well as a feed of their latest news. We think it’s great to see Electronic Notes providing the industry with such a helpful platform, as they deliver everything you need to know about the main suppliers within the electronics industry. To see the directory’s latest updates and additions please click here. The Electronic Components Supply Network (ecsn) have invited members to the ‘Powering Innovation Workshop’, in an effort to help them investigate how they position their organisation for innovation and revenue growth. Presented by Dr Dave Richards, the workshop is designed to inspire members, and provide a framework to embracing a more strategic approach when leading innovation within their organisation. 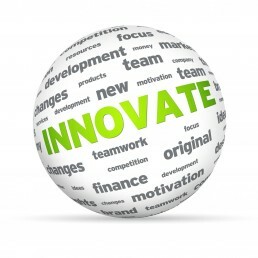 Aimed at the leadership teams of ecsn, the workshop will investigate some of the latest thinking and practise on innovation and how it may be practically applied to their organisation. Dr Dave Richards is a globally recognised and published thought and practise leader, who has previously helped organizations achieve their full potential for all kinds of innovation; including new product development, technology applications, business improvement, customer engagement and open innovation. It is encouraging to see that the ecsn association is providing support to their members, by trying to help them drive innovation within their organizations. With the workshop due to take place on the 29th November 2018, I look forward to hearing the positive feedback the workshop is sure to receive. The Benelux RF Conference (previously known as the Dutch RF Conference) is back for 2018. Due to be held on the 28th November at the Novio Tech Campus in Nijmegen; the Benelux RF Conference targets Belgian and Dutch high-tech professionals and companies involved in high-end RF development and RF applications. Organised by Techwatch in partnership with Novio Tech campus and the city of Nijmegen, the conference focuses on helping engineers, technical managers, product developers and innovation managers. The conference offers in-depth sessions highlighting trends such as RF energy and RF power, as well as sessions on product-specific applications with a focus on innovative solutions in combination with advanced wireless technology. For more information on the conference and how to attend please click here. Napier Competition - Can you Name this Industry Figure? 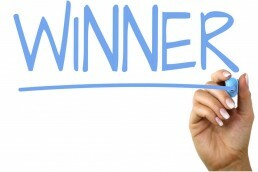 - Winner Revealed! We can reveal that our industry figure is in fact a younger version of Johnny Waddell. Congratulations to Todd who guessed correctly! 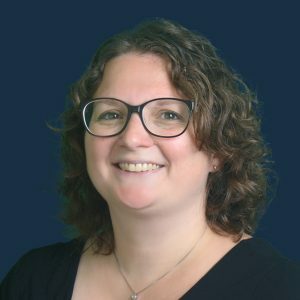 Jennifer joins the Chichester team bringing a wealth of experience from France and the United Kingdom, having developed her PR and Marketing skills in both agency and in-house. Her expertise includes public relations, strategic marketing, email campaigns and events. Jennifer’s previous experience covers a range of different industries, from academic publishing to agriculture. This year, Jennifer was awarded the Chartered Institute of Marketing Diploma in Professional Marketing. A new exhibition director has been announced for productronica, the leading trade fair for electronics development and production. 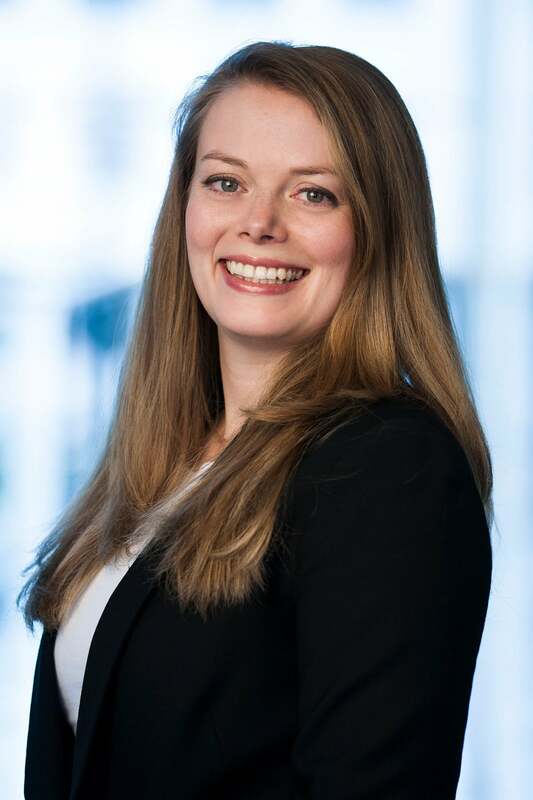 Caroline Pannier has filled the role effective immediately, with the next productronica to take place in Munich from November 12th-15th 2019. With a degree in Business Administration and Technology Law, Caroline has worked for Messe Munchen for the last six years. She has also previously worked as a spokesperson for electronica. Caroline has spoken about her new position, explaining how she would like to make the trade show even more successful in the coming years with her knowledge and numerous ideas. We think it is great to see a woman heading up such a significant role in the trade fair industry, and we look forward to seeing the new ideas Caroline brings to productronica. As a marketer you are often faced with a combination of problems that are your responsibility to fix. The marketing world is filled with tips and tools that all promise to solve your problem instantly; but at Napier we know this is often not the case. It can be overwhelming when faced with advice from several sources that all tell you different ways on how to improve your SEO or the things you must include when creating a persona. But what happens if you are given access to tools that allow you to find the solution for yourselves? 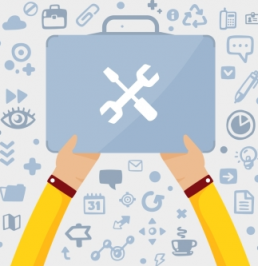 Napier’s Toolbox - a collection of the most important marketing tools is the answer to your problems. ROI is often a marketer’s top priority, and when creating a campaign, it is one of the most important outcomes to calculate. Our ROI calculator allows you to calculate the potential increase in profit and ROI for a campaign where you can estimate its impact on the sales funnel. For three simple steps on how to use the calculator it to its full potential read our blog. SEO. The one word that is constantly mentioned, and usually attached to several questions. What am I am doing wrong with SEO? How can I improve my keywords? What are my competitors doing that I’m not? The Napier SEO Tool allows you to review your own website and analyse areas such as your keyword frequency; page title and meta description, page speed and mobile optimisation, as well as further insights and in-depth technical analysis. The tool will quickly identify problematic areas that need attention and provide recommendations on how to improve them. The SEO tool also allows you to review your competitor’s SEO and compare results in an easy to digest format. Read our blog to learn more about our SEO tool and what it can do for you. As customers continue to grow and change, it can be hard for marketers to pinpoint exactly who they want to target. A persona is so important because it allows you to create a targeted campaign, with the right content and the right approach; ensuring the most successful possible outcome. As a marketer it can often be hard to determine the difference between a MQL and a SQL, with the biggest question often being asked ‘when should I hand over to sales?’ With so many different versions of a MQL and a SQL, it can be hard to know what these terms mean for your company. Our MQL and SQL definition tool allows you to identify what information and behaviour qualifies your leads for either marketing or sales. 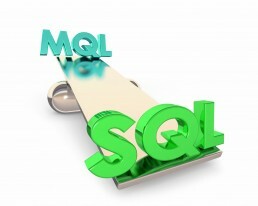 The tool will then provide an easy to read breakdown of what information determines whether they are a MQL or a SQL. For more information on how use the tool to its full potential, read our blog. In today’s world of modern marketing, it can be hard to understand what behaviour determines a lead as a Marketing Qualified Lead (MQL) or a Sales Qualified Lead (SQL). Unfortunately, there is no one universal answer that states if a lead behaves a certain way then it is almost certainly a MQL or SQL. Item Media define MQL’s as a “lead that definitely has value” and has been identified as a likely customer in the future. In comparison they describe an SQL as someone who has “clear and qualified buying intent” and is often already or nearly at the buying or decision stage of the funnel. But how do you piece together what behaviour qualifies a MQL or a SQL for your company? At Napier, we have the answer with our MQL and SQL definition tool. We know it can be hard to identify what type of a lead you have, and when working closely with sales, it can be difficult to know when to hand your lead over to the sales experts. Our MQL and SQL definition tool allows you to personally identify what information and behaviour qualifies your leads for either marketing or sales. The tool achieves this through asking select questions for each section, and then providing an easy to read breakdown of your information; which successfully defines the behavioural features you look for in a MQL and a SQL. Try out our MQL and SQL definition tool now, and get in touch to let us know if our tool has helped you! Buyer Personas - Why are They So Important? It is clear to see that the marketing world has evolved over the years, with online platforms now playing a significant part in targeting customers. But with so many options, marketers can often struggle to break free from the crowd and target the right audience successfully. The solution? 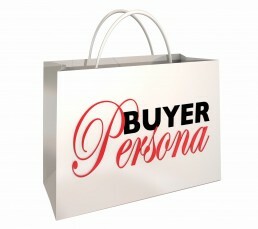 A buyer persona. As a fictional representation of a company’s typical customer, a buyer persona is applied in the early stages of campaign planning to help marketers pinpoint exactly who they want to target. A persona provides a detailed background on a specific target customer; including their age, education level, skills in terms of using the internet and their understanding of the product, as well as a set goal or objective that they are trying to complete when visiting the website. These elements create personas that are representative for a business’ larger target audience, as well as providing the team with shared understanding of customers in terms of goals and capabilities. An important purpose of personas is the ability to develop solutions, products and services based upon the needs and goals of your customer. This allows you create a targeted campaign, with the right content and the right approach; ensuring a successful outcome. At Napier, we know how important a persona is to your campaign, but also how time-consuming it can be to create one. This is why we’ve built Napier’s very own B2B Persona Creator Tool. Our tool allows you to develop B2B personas for a specific campaign, and truly understand your target audience from the beginning. All you need to do is answer the questions provided, sit back and watch the tool do the work for you. In an easy to read format, the B2B Persona Creator Tool will then generate a report of your persona detailing all the information you need to create a successful targeted campaign. You can then create multiple personas and easily compare their similarities and differences and work out how to best target their needs. Why not try out the tool today? And let us know how it helped you! In the latest installment of our ‘Napier Nine’ video series, we learn all about Debbie McIntosh, PA and HR Manager at Napier. Missed the other ‘Napier Nine’ Videos in our Series? Watch them Now! Finalist’s Revealed for The Electronics Industry Awards! We are also delighted to say that Napier has been shortlisted for the Most Outstanding PR Agency category. 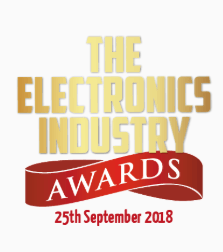 The winners will be announced at the Electronics Industry Awards ceremony on Tuesday 25th September 2018, at Birmingham’s National Conference Centre. Good luck to all our clients, and we look forward to spending a fun-filled night at the awards! In our ‘Napier Nine’ video series, we’ve been taking the time to learn more about the team. In this installment we introduce you to Freya Ward, Account Director at Napier. Chloe Willcox, Account Manager at Napier, is the latest member of the team to take part in our ‘Napier Nine’ Video series. Publishing house ACSL, has announced its decision to put the website StorageSearch.com up for sale. StorageSearch.com has been the leading website for the storage market since 1998, and the decision to sell has been made as part of a planned transition due to founder and Editor-in-Chief Zsolt Kereke’s retirement. The website will cease all web advertising commitments and be frozen from 25th December 2018 until a new owner is found to take over the website operation in 2019. Zsolt has spoken out about his time as editor at StorageSearch.com stating, “In my 40-year career in the electronics industry, the past 20 years at StorageSearch.com have been the most rewarding and enjoyable. And I have been carried on the shoulders of my wonderful readers who have inspired me and instilled their trust." As a highly-respected and accredited publication in the industry, it will be interesting to see who will make the move to buy StorageSearch.com and the direction they will decide to take the website in. To find out more information and stay up to date with the latest sale process take a look at the StorageSearch.com website. The first IKTEM Conference, organised by Svet elektronike & Svet mehatronike magazines, has been declared a huge success for 2018. 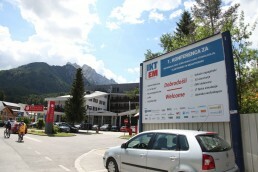 With over 140 registered participants, IKTEM 2018 was held in the Kranjska Gora, Venue Ramada Resort from May 31st to June 1st. After the first day of presentations participants were taken to Planica ski centre where they participated in the world's tallest ZIP Line from Planica ski jumping platform. IKTEM 2018 has gained great interest from the industry, especially in Slovenia, achieving recognition from the Faculty for Electronics in Ljubljana, as well as by the Slovenian Chamber of Commerce and the Slovenian Craft Chamber. The conference was carefully crafted for engineers, with presentations being non-commercial and instead technical and practical a crucial element to pleasing participating engineers. Organiser of the conference Jurij Mikel revealed how, “having very good feedback from both participants and sponsors we see a bright perspective for IKTEM conference in the following years”. After many years without industry conferences in Slovenia, we previously discussed our delight in Jurij’s decision to launch IKTEM 2018 and it is great to see the industry responding so positively. We look forward to seeing how the IKTEM Conference will grow in the future, and continue to make a positive impact on the industry in Slovenia. Imogen Saunders, Marketing Specialist at Napier, is the latest to take part in our 'Napier Nine' video series. 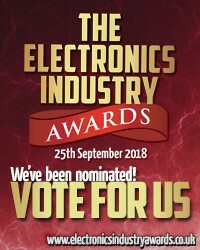 Electronics Industry Awards – Voting Now Open! We are happy to announce that Napier has been shortlisted for the Outstanding PR Agency category in the Electronics Industry Awards. We have a great team here at Napier and love the work we do for our clients which is why we are spreading the word and asking you to vote for us as the Outstanding PR Agency. Support from the industry and our clients is always appreciated, so please take the time to cast your vote now!